Becoming an Enterprise Architect takes time. Becoming TOGAF certified is often simply the start point. 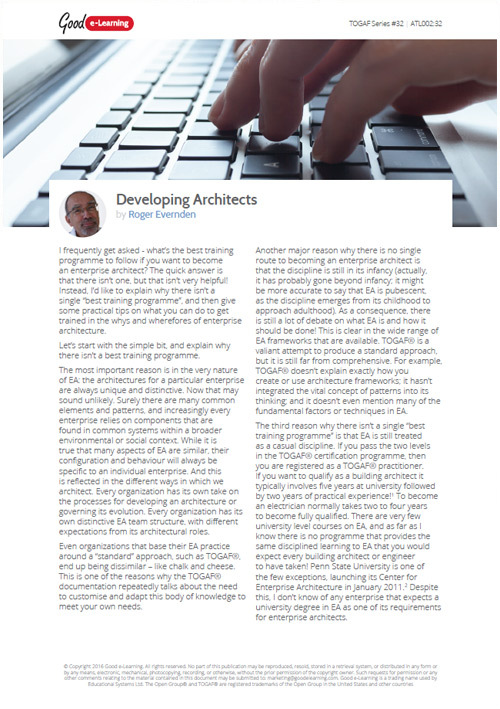 This article explains what you can do to create your own best training programme in order to become an effective enterprise architect.